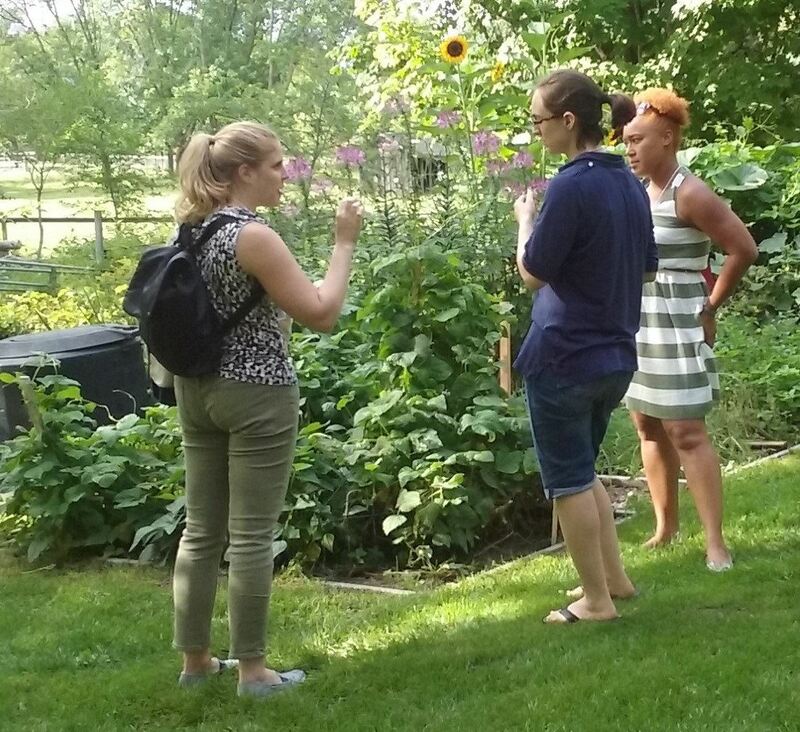 We offer teacher training like this Outdoor Teacher Retreat throughout the year to provide responsive nature-based training, state by state, as members like you make requests. Retreats are typically more intimate than conferences to encourage dialogue, networking, and establish regional networks for support. It's easy to host an event -- let us know if you'd like ERAFANS to bring a retreat to you! We've partnered with the Carroll Community College (CCC) to bring you some amazing hands-on sessions that will get you eager to head outside with the children in your care! Presenters share insight and activities based on their work in nature preschools, forest kindergartens, or other nature-based preschool programs. Light breakfast and lunch are included, but please bring your canteen for drinks. You can indicate dietary restrictions when you register. The retreat is packed with hands-on, outdoor workshops including nature-based art processes inspired by Montessori and Reggio Emilia-inspired programs and ways to encourage music and movement outdoors. Registration begins at 8:30 a.m. and concludes at 3:45 p.m. Workshop descriptions are below or view the event schedule. You can learn science, technology, engineering, and math with books and papers in the classroom…OR you can hypothesize about vertebrates you’ll find on campus, use compasses to find your way around an orienteering course, build shelters outside in the snow, and graph the poundage of trash you removed from the school trails by recyclable vs. trash. Real life experiences offer the most authentic learning opportunities and being a part of the dynamic natural world engages a learner more than any other method. And that’s scientifically proven! Join me for a discussion that breaks the barrier of the classroom walls and gets STEM Outside! We know that connecting all children with nature will have long-lasting benefits and that this is especially true for children who are considered “at risk.” We also know that with busy, stressful lives, getting outdoors has become more difficult for today’s families. Recognizing the learning that occurs in natural settings is sometimes hard for parents and educators to identify and embrace. Shifting these principles to practical application can be overwhelming. How can we build the trust that is necessary to introduce children to a natural setting, free of defined edges and borders, and truly open-ended materials (sticks, stones, feathers, etc.) to make those profoundly important connections? How do we create an outdoor learning experience that supports all children that balances exploration and safety? And finally, how can we communicate this most effectively to prospective parents? This session helps answer these questions as you make the case for outdoor learning and build trust among your learning community. Animals and natural phenomena have been the subject of story-telling for eons. Interactive, oral story-telling continues to captivate the imaginations of young children. Learn native stories and discover ways to interpret stories whispered from the Earth. Practical implications of reading connections and resources will also be discussed. In this workshop we will discuss mindfulness and how it blends with our work as outdoor educators. As a group, we will discuss mindfulness, it’s benefits as well as the ways we can embody and practice as adults. Then we will experience mindfulness by engaging in several mindful activities and meditations using nature as our guide. These practices will be structured so that you can take them directly into the classroom this fall. The sound and sway of trees on a windy day…the seaside ebb of shushing waves…the eager bounce and chirp of birds at dawn. Nature has a mesmerizing song and rhythm all her own. Discover inspiring songs, clever instrumentation, and corresponding movements all inspired by the natural world that surrounds us. Note: If you play an instrument or have a nature-based song to share, bring it along! Network and re-charge during this creative session. We will head outdoors (rain or shine) to explore a variety of nature-based art experiences as we reflect on our teaching practices. Please bring an unlined journal or sketchbook and dress for the weather!